Washington DC-based electronic pop/hard rock band 'Rites of Ash' announces new lineup, album, and CD Release Party. The new album, She's Out For Blood, will be released on July 9th. CD Release Party is at Rams Head Live (Baltimore, MD) on June 14th, 2012. Washington DC-based electronic pop/hard rock band Rites of Ash is pleased to announce their new lineup - Alex (vocals), Lazzo (guitar, keyboards), Tevey (drums), and introducing: Toni (vocals) and Tuomas (keyboards). "We have never sounded better," says guitarist and founding member Lazzo. "We have finally found the right sound, lineup, and look...I am really excited to introduce the new ROA to the world!" The band's new record, 'She's Out For Blood', is a new direction for the band. Incorporating elements of electronic dance pop and dubstep into their signature hard rock sound, the band aims to reach new levels of originality and marketability. Their new singer, Toni, adds an amazing new dimension to the band with her background in R&B, high energy, and unwavering ambition. "I am the band's first female vocalist - I feel honored to be playing with these guys" says Toni. "I really believe that Rites of Ash's sound is where the industry is headed - these guys are innovators and I am right there on board!" 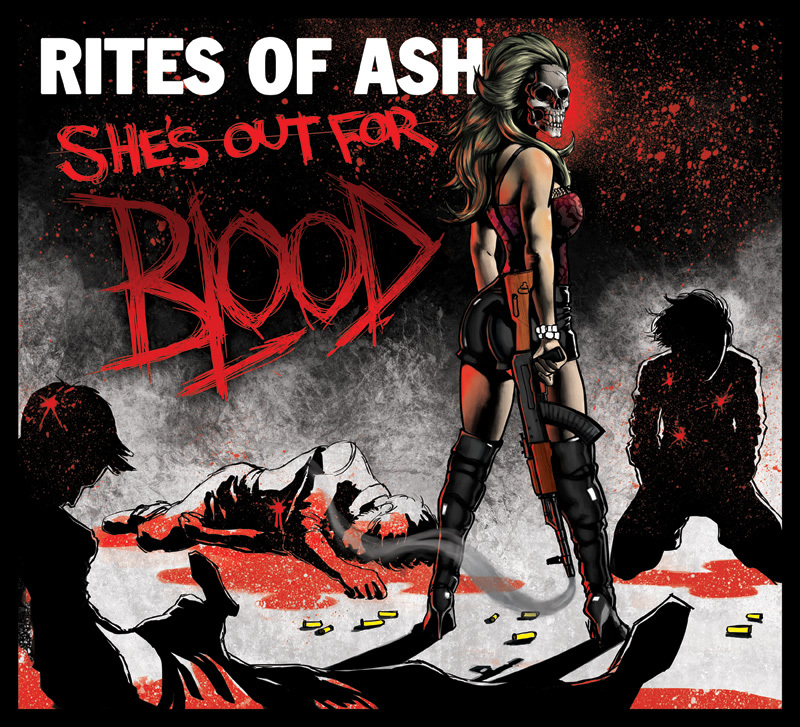 'She's Out For Blood' will be officially released on iTunes, Amazon, and all other digital stores on July 9th, 2012. Physical copies will also be available for purchase at the official Rites of Ash Merchandise Store and at shows. "The new record is incredible. We worked hand-in-hand with our manager Billy Zero, producer/mixing engineer Derek Olds, and mastering engineer Alien Implant to create our best work to date," said vocalist Alex.